The Church is coming to life in the remote valleys of Papua New Guinea, on the desert fringes of Kenya, and the crowded cities of India. As in every age in places where the Church is only beginning, young people are responding to God's call to serve in the Church. 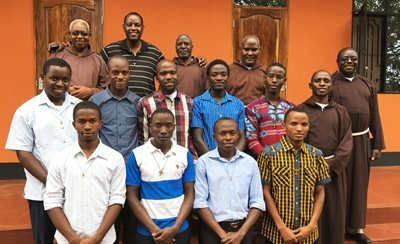 The Capuchin missionaries have a special responsibility to train and mold the next generation of Capuchin priests and brothers, so that the Church can continue to grow and God's goodness can be revealed to even more people. In mission lands, local families cannot ordinarily afford the tuition and board for a son who is studying to become a Capuchin friar and priest. Seminarians need a roof over their heads and food for nourishment, as well as books, school supplies, classrooms and instructors.